Upon the retirement of Derek Jeter, the 47th greatest Yankee of all time, Will Ferrell has sent Captain Clutch off into the sunset with a fitting tribute of taunting and begrudging respect from a Boston fan. 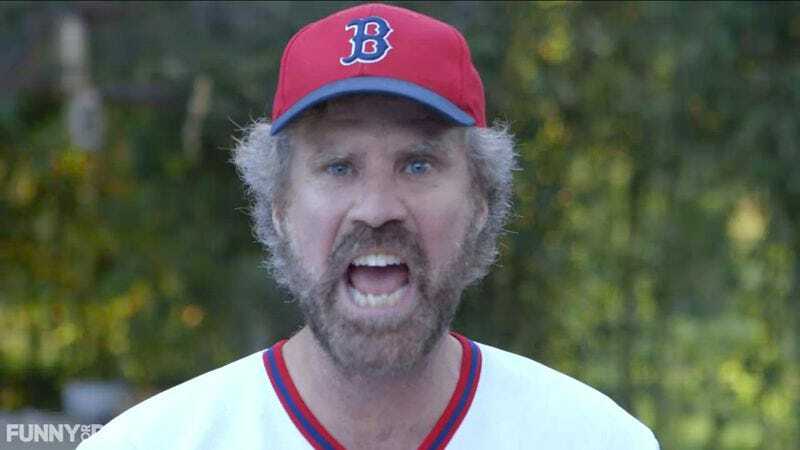 Ferrell has previously shown his gift for over-enthusiastic baseball spectatorship, but this new scene finds him donning a Red Sox cap and kind of an accent to scream at the camera for four solid minutes. The piece was originally edited into a longer video with Kevin Hart and Chris Rock, but on its own it’s a testament to Ferrell’s commitment to a bit as he leads the infamous Fenway chant of “Der-ek Je-ter” for a full minute before going off on his usual absurd tangents. If Jeter ever gets bored with his new “no filter site” for professional athletes, he can always replay this video and relive the glory days of being both a beloved and despised man in the Bay state.